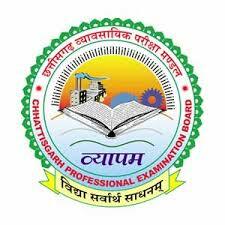 Chhattisgarh Professional Examination Board has published Advertisement for below mentioned Posts 2019. Other details like age limit, educational qualification, selection process, application fee and how to apply are given below in the advertisement. Educational Qualification: Candidates who have passed their Higher Secondary Examination & having Diploma, B.E.led, / Graduation Degree with B.Ed and TET Exam passed or B.A.Ed/ B.Sc Ed with TET examination passed are eligible for this recruitment.